bichonpawz: Counting on My Patriots! 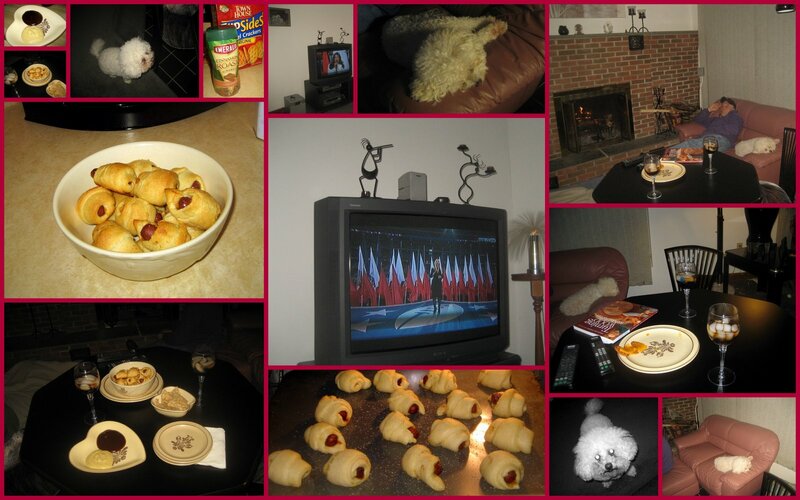 Do any of you remember the slideshow I put together of last year's Superbowl post? Let me refresh your memory! We are going to be front and center on Sunday for the Superbowl!!! The picture above is from a couple of years ago...but we will be doing pretty much the same thing! We just love the Superbowl commercials and this year at least we should have a good half time show with Justin Timberlake performing. Those old guys that were on a couple of years ago...just didn't cut it. I don't know who vetted those dudes!! Anyway, we have several snacks planned...check this one out!!! 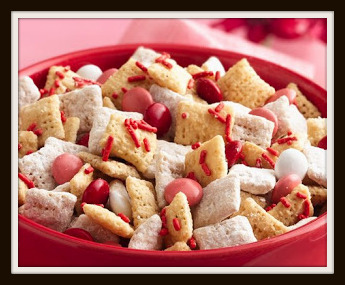 We are going to make a variation of Valentine's Chex Mix!! And by the way...in case you had not guessed...we are actually hoping the Patriots win!!! Have to stay true to mama's roots! She was born in Massachusetts! Same here - Mom is a Massachusetts woman at heart - born in western MA and lived there for 37 years. Go, Patriots!!! We are hoping that the Patriots win too! The snacks look so yummy! Did your mom grow up in New England? Our mom loves New England!